A Democratic Party (DP) mobiliser has gone missing in what party officials say was a kidnap by persons dressed in military uniform. Ms Annet Namwanga, an employee of Mulago Referral Hospital, was reportedly picked up by unidentified men in uniform at 2pm last Tuesday but her whereabouts were still unknown by press time. Eyewitnesses say Ms Namwanga was last seen being involuntarily dragged by unidentified men towards a waiting vehicle which later sped out of the hospital gates. Unconfirmed reports indicate Ms Namwanga is being held at the Joint Anti-Terrorism Task Force (JATT) headquarters in the upscale Kololo suburb, where she is being questioned. “We were looking everywhere for her,” Kampala Central MP Erias Lukwago told Daily Monitor yesterday. “When we first went to JATT headquarters, we were told she was not there. But later some good samaritans told us that she was being questioned in there.” By press time, police spokesperson Judith Nabakoba had no details on Namwanga’s whereabouts. “Please speak to the army spokesperson as we in the police dig deeper into this incident,” she said. When contacted, the Defence and Army Spokesperson, Lt. Col Felix Kulaigye, also said he was not aware of the incident. “I do not think that is true but I will find out,” he said. According to sources that preferred anonymity, funds for political mobilisation from DP supporters in the Diaspora have often been channelled through Ms Namwanga. During the launch of the DP manifesto, Ms Namwanga reportedly handed an undisclosed amount of money to DP presidential flag-bearer Norbert Mao, which she claimed had been given to her by the latter’s supporters in the United States. This, according to sources, could have sparked off an investigation into her financial dealings. Mr Mao has since confirmed knowledge of Ms Namwanga’s disappearance, describing it as dirty politics. 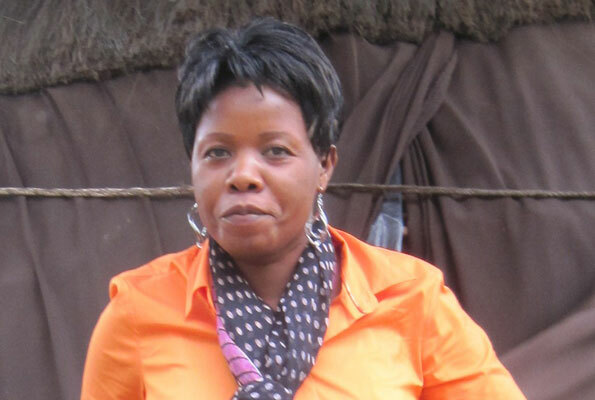 “I was informed of her disappearance and we want her released immediately,” Mr Mao told Daily Monitor on Friday. Ms Namwanga is wife of Lawrence Kiwanuka, a journalist critical of the government. Mr Kiwanuka is currently living in exile and chairs the DP –US Chapter. Mr Lukwago, who is also Ms Namwanga’s attorney, said he would file an application to have her immediately produced. “We are left with no other choice but that,” he said.